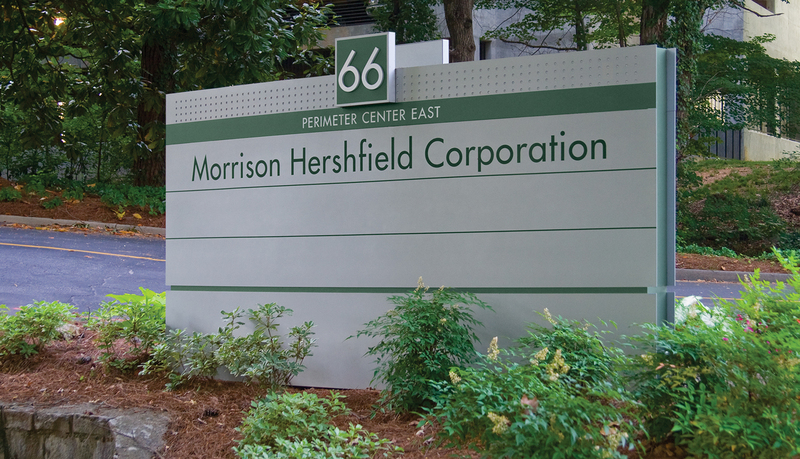 Perimeter Center East is a mixed-use corporate office park north of Atlanta that includes multi-story Class A office buildings as well as hotels and restaurants. 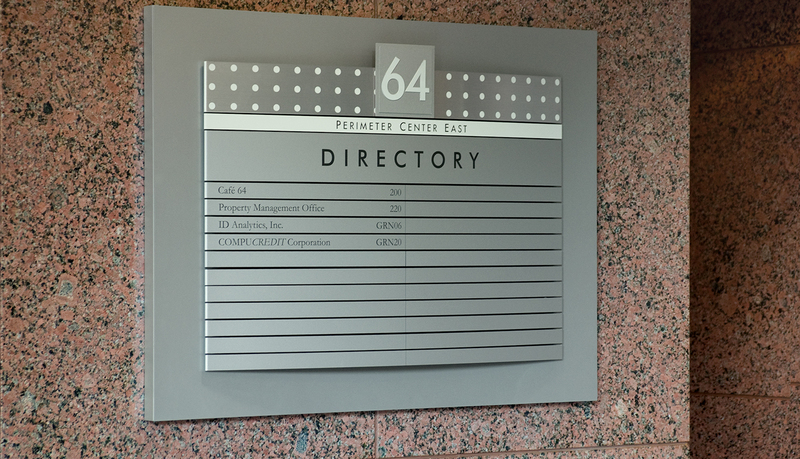 To help finish out the office park, the property management team needed a comprehensive wayfinding and identification solution that included exterior and interior signage as well as design services. 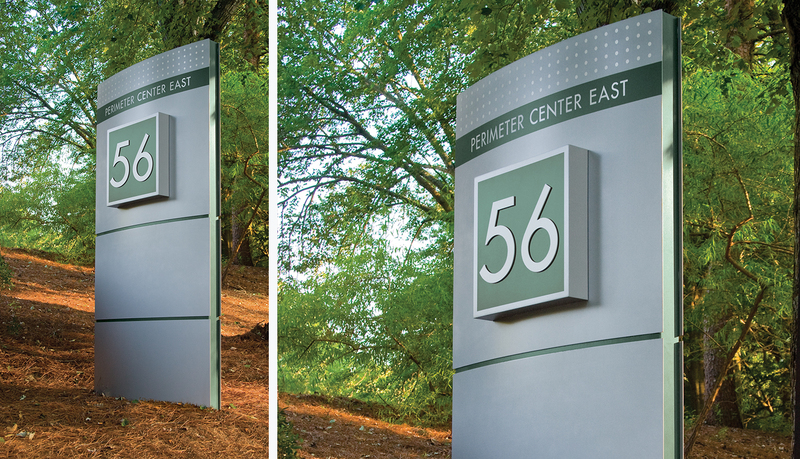 Based on previous successful partnerships between ASI and design architect for Perimeter Center East, the property management group asked ASI to provide a design-build wayfinding and signage solution. 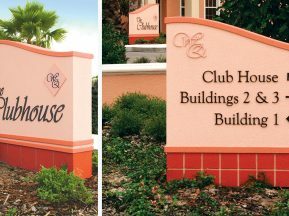 After surveying the complex and developing a wayfinding plan for the complex, ASI recommended its curved-face modular signage system, Pacific™ as the basis for the signage and identity solution. 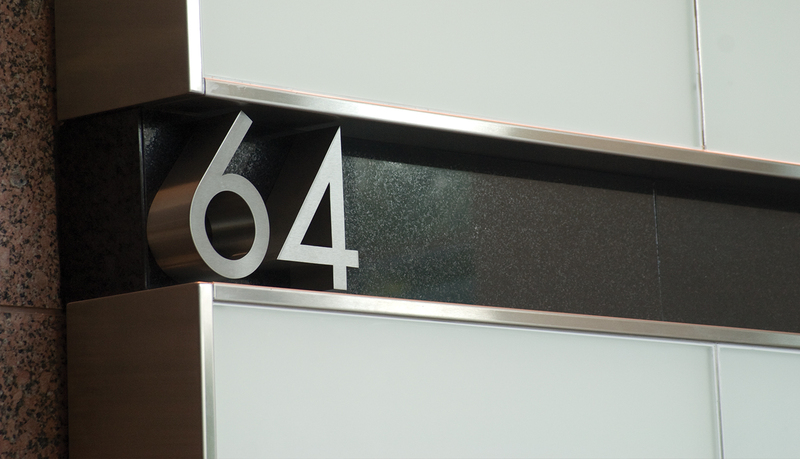 Because Pacific Interior™ can easily be customized without sacrificing its modular functionality, the client agreed that it was the right solution. 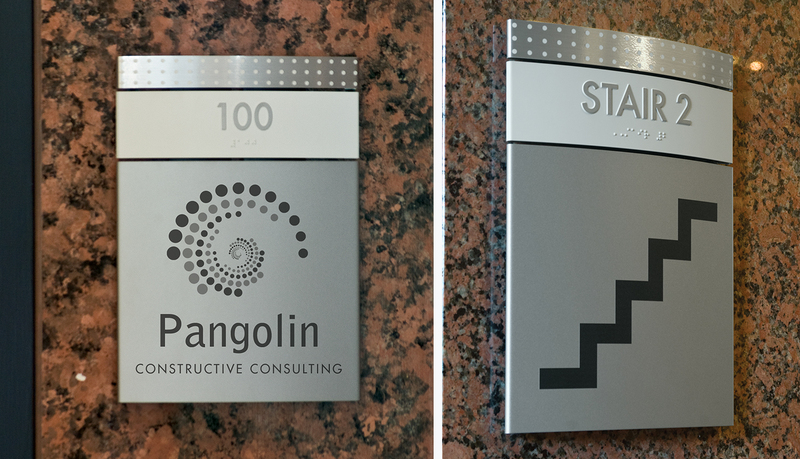 The customized Pacific Interior™ signage solution features a perforated decorative graphic panel and brushed aluminum dimensional lettering and graphics on each sign. 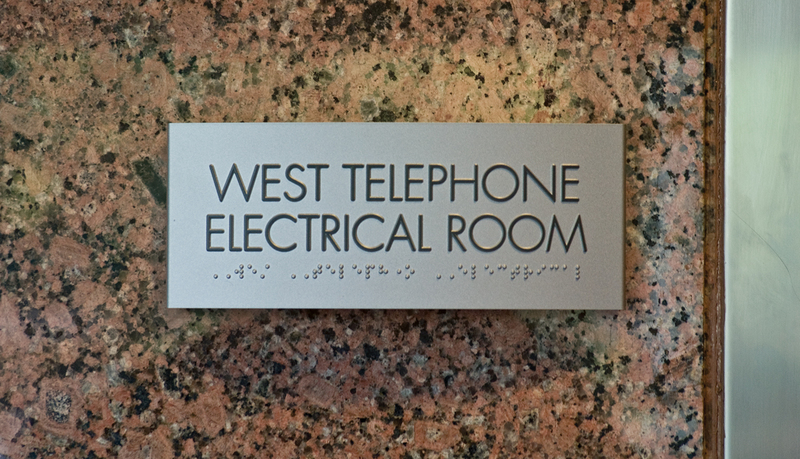 The interior solution includes directional and directory signs, ADA-Ready™ regulatory and room ID signs and tenant ID signs. 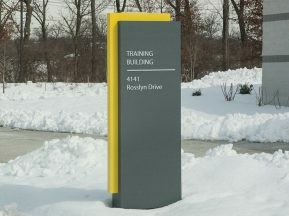 signage solution comprised of curved-face monoliths and monuments as well as brushed aluminum reversed channel letters. 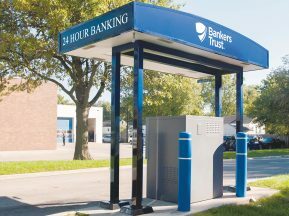 The customized monoliths and monuments integrate the same perforated decorative design feature as the interior signage and ASI integrated forest green painted accents on the sides of the curved solution. 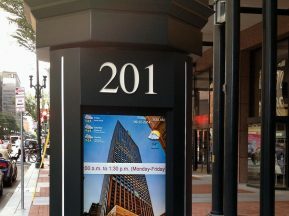 In addition, ASI also provided vehicular signage and post and panel wayfinding signage to help guide visitors after they exit their vehicles.